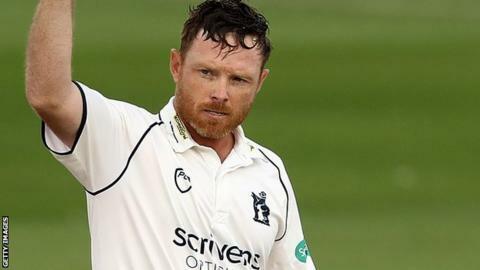 Former England batsman Ian Bell will miss the start of Warwickshire's County Championship season after having surgery on his toe. Bell, 36, had an operation to repair a ligament tear after being struck on the foot during training with Islamabad United in the Pakistan Super League. He could be out of action for up to three months. "Ian will immediately start his rehabilitation programme," first-team coach Jim Troughton said. "There are always unknowns with surgery, but Ian has always kept his fitness at the top level throughout his career." Bell, who was forced to miss the Bears pre-season tour of the United Arab Emirates, hit 1027 runs - including five centuries - at an average of 54.05 as Warwickshire won promotion to Division One in 2018 by lifting the Division Two title.